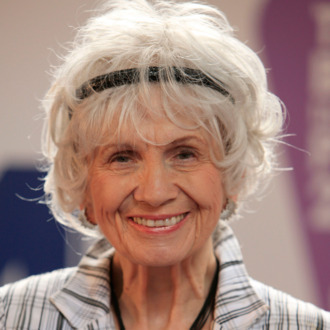 What a pleasure to wake up this morning and learn that Canadian short-story writer Alice Munro won the 2013 Nobel Prize in Literature. The prize is awarded for lifetime achievement, not for a single work, and, for the better part of half a century, Munro has written the most consistently and fearsomely excellent short stories in contemporary English-language literature. The usual one-liner on those stories is that they are set in small-town Canada, where Munro grew up and still lives, and chronicle the lives of ordinary people. That is true, and yet ordinariness in a Munro story proves so complex as to become almost apocryphal. The Japanese novelist Haruki Murakami was the odds-on favorite to win this year’s prize, and when I heard that Munro won instead, it occurred to me for the first time that the two have something in common: They get away with writing about strangeness by virtue of being so very good at the mundane. Murakami’s strangeness is impossible to miss, since it tends to involve things like psychic cats and pet unicorns. Munro’s strangeness is easy to miss, partly because the easy-to-miss is precisely her domain, but chiefly because her kind of weird is, paradoxically, immensely familiar. Is it bizarre for the child of a middle-class family to cut himself off and go live among homeless people? Is it bizarre for a college student to find herself reading A Shropshire Lad aloud, naked, at the behest of a professor who does not touch her? I mean to say that Munro writes about the kind of normal-strange human behavior whose sub-literary expression is gossip: Why on earth did she marry that guy? Can you believe he still lives with his mother? Why would she throw away such a promising career? Who does he think he’s fooling? But while the characteristic tone of gossip is one of relish and judgment, Munro’s characteristic tone is one of dispassion and inevitability. I can think of no other writer so spare, so precise, so emotionally scrupulous. Like their seeming ordinariness, the seemingly narrow scope of Munro’s stories is a fake-out. The smallness in them unfailingly magnifies: a crack widens to a breach, a slight lodges in the ego forever, a single incident alters the course of a lifetime. So, too, the smallness of them. Slight as they can seem, Munro’s tales are big and dangerous — the kind of danger grasped by the agoraphobe and implied by the night sky. Every Munro character is a minor character, and their obliviousness, resistance, or resignation to that status is often the engine of the story. To read about them is to place yourself in the existential peril of seeing with sudden acuity the insignificance of our lives, and the contrasting passion and grandiosity with which we go right on conducting them, helpless not to. So here’s another shot at the one-liner on Munro: small people in small towns in short stories sparely told — yet you want to put the work in a time capsule or send it off to space, so fine an account is it of our species. The Nobel Prize committee has long come in for a certain amount of mocking among U.S. literati, because it has sometimes overlooked the obvious (Tolstoy , Nabokov, Twain), in favor of the Um, Should I Know Who That Is? I joked last month that my money for this year’s prize was on Olaf Unheardofsson, and when the obscure Swedish poet Tomas Transtömer won in 2011, the critic Bethanne Patrick cracked that “He’s no Herta Müller” — the equally obscure 2009 winner. Of course, such comments reflect the provincialism of American letters as much as they reflect the merits of the Nobel winners. But no one will mock this year’s decision. Munro, that great bard of provincialism, is now known around the world. And not a moment too soon. Like Philip Roth, Munro, who is 82, announced her retirement earlier this year, shortly after publishing her fourteenth story collection. When I heard the Nobel announcement this morning, it sounded like it should: like a standing ovation.